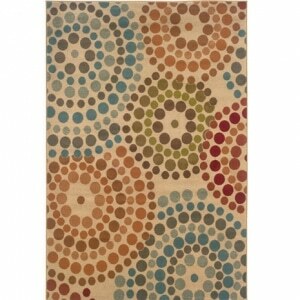 The Mosaic rug is a great way to add pattern and color into any room. Its is made of 100% wool, and its hand tufts are made from various yarn type and pile heights. Two color options are offered - one cool and one warm. Choose form the variety of sizes. You're unique - why shouldn't your home decor be as well? 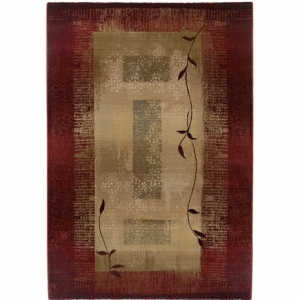 The free form shape of the Gypsy rug adds visual interest to a room, while its medium pile and twist texture add comfort. 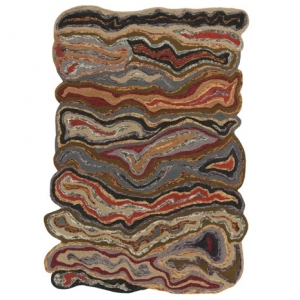 Made of 100% wool, the Gypsy rug is backed with cotton canvas for enduring wear. Several sizes are offered. Like to think outside of the box? 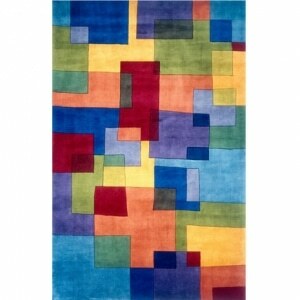 Then you may love the Geometrix rug with its unique shape. Colored rectangles lay next to each other, but each is off center, adding interesting dimension to a room. 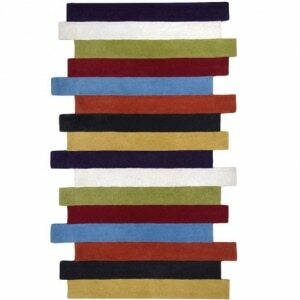 The rug is made of 100% wool with a durable cotton canvas backing for long wear. Hand tufted and with a medium pile, it is offered in several sizes. The Cosmo rug, made of long lasting polyester, brings back the 70's, but without the bell bottom pants. The thick shag pile is luxurious under foot. 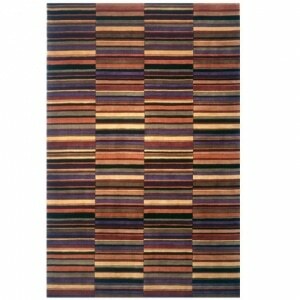 Many colors are offered, ranging from rich jewel tones to soft neutrals. The transitional styling of Generations rug allows it to work well in more modern rooms as well as more traditional settings. Warm burgundy tones frame a tan center with soft sage blocks. For added interest, a vine pattern flows across the rug. Several sizes offered. Made of polypropylene, this rug is designed to last. 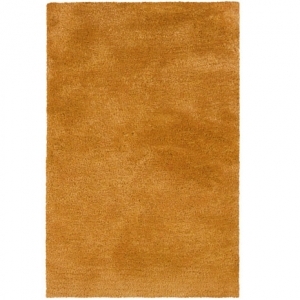 The Emerson rug is constructed of sturdy polypropylene, which means it is designed to last. The fun circle pattern showcases many colors, including oranges, greens, and blues. The pattern would work well in a living room, modern dining room, or a bedroom. Several sizes are offered, ranging from small doormat size to room encompassing 10' x 13'. Tufted of wool, the Sensations is over-tufted with supple art-silk, further enhancing its beauty. 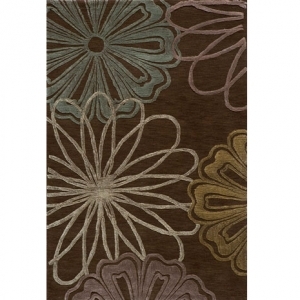 The rich chocolate background helps the flower pattern of creams, yellows, blush, and greens shine. Several sizes are offered. 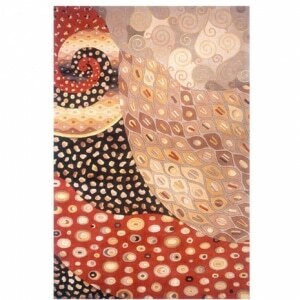 Colorful swirls and other shapes attract the eye to this New Wave-71 rug. Hand-tufted by expert artisans using a special blend of the highest quality Chinese wools, these rugs have the softest of hands and a shine that is unsurpassed. The shapes are highlighted by hard carving to add depth and character. Two color options are offered - one dark and one light. Many sizes offered. Hand-tufted by expert artisans using a special blend of the highest quality Chinese wools, these rugs have the softest of hands and a shine that is unsurpassed. 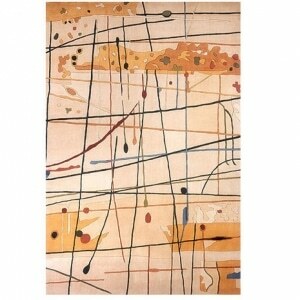 This rug is a piece of abstract arm for any room. Splashes or reds, blacks, blues, and yellows are a treat for the eye. Choose from a variety of sizes. 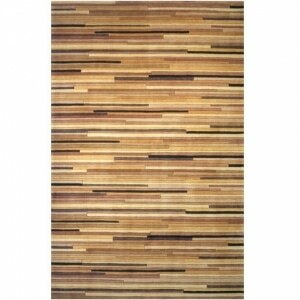 Straight lines, accentuated by hand carving, are the highlight of this New Wave-51 rug. The warm neutral tones blend well with existing furniture. Hand-tufted by expert artisans using a special blend of the highest quality Chinese wools, these rugs have the softest of hands and a shine that is unsurpassed. Choose from a variety of sizes. Hand-tufted by expert artisans using a special blend of the highest quality Chinese wools, these rugs have the softest of hands and a shine that is unsurpassed. Hand carving helps to accentuate the pattern. Bright bold colors can brighten up a room on even the most dreary of days. Many sizes offered. Needs some order in your life? 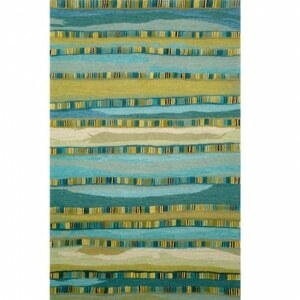 The linear pattern of the New wave-42 rug can be an inspiration. Hand-tufted by expert artisans using a special blend of the highest quality Chinese wools, these rugs have the softest of hands and a shine that is unsurpassed. The hand carving helps to accentuate the lines. Many sizes offered, so whether you want a hallway runner, a large area rug, or a round rug for under your dining table, this rug fits the bill.